My garden, in the beginning. I don’t consider myself a libertarian in any capacity except when it comes to neighborhood covenants. I have seen subdivision restrictions from a close enough perspective to know that I wanted nothing to do with them. That, and a certain school district, were my only restrictions when we went property-shopping in 2003. 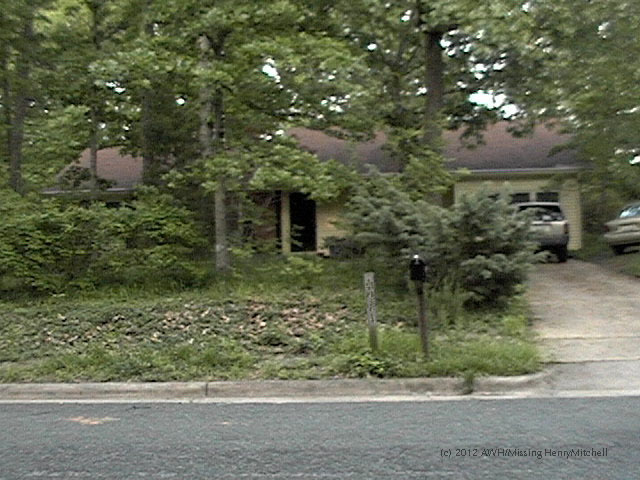 I wanted large trees on my lot if I could get them, and an older house we could fix up the way we wanted. I got both wishes. But I occasionally wonder if anyone could see the potential I could see. Curb appeal is in the eye of the beholder. The blank-slate nature of the site genuinely appealed to me. I have an editing habit and a strong desire to rearrange things. The creative potential of this spot seemed almost unlimited. Looking at the south side of the property made me itch. I had just acquired between six and ten redtip bushes (Photinia x fraseri; I no longer remember precisely how many) that were between 8 and 10 feet in height, and were nearly skeletal from fungal disease. The reason the ones in the photo look full is because what looks like one healthy shrub is actually three rangy ones planted very closely together. A mixture of Liriope, Iris germanica, English ivy, vinca, honeysuckle, and common orange daylily (Hemerocallis fulva) grew thickly everywhere one could step, even outcompeting the poison ivy. Even so, the active one-year-old child residing in the new house could not be permitted to walk along outside for fear of sustaining injury–there were lots of substantial, unexplained holes in the ground–or attack by unseen wildlife. The mosquitoes, I need hardly say, flourished handsomely. Welcome to the jungle. We got fun & games. The backyard was hardly any improvement. 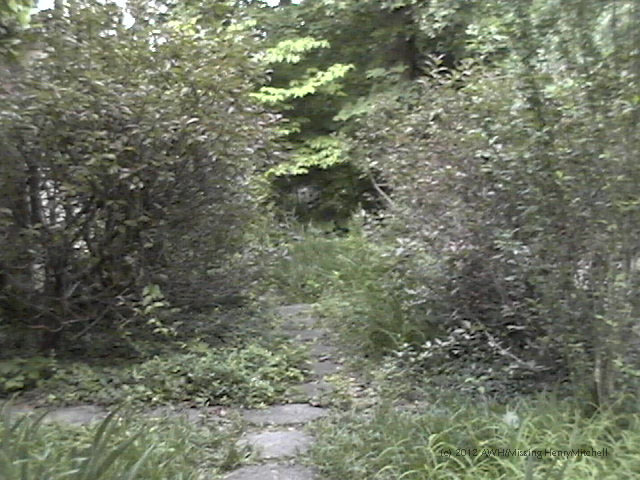 It did offer one narrow, brick-paved path to the shed. Neighbors were brilliantly, overzealously, hidden from view. 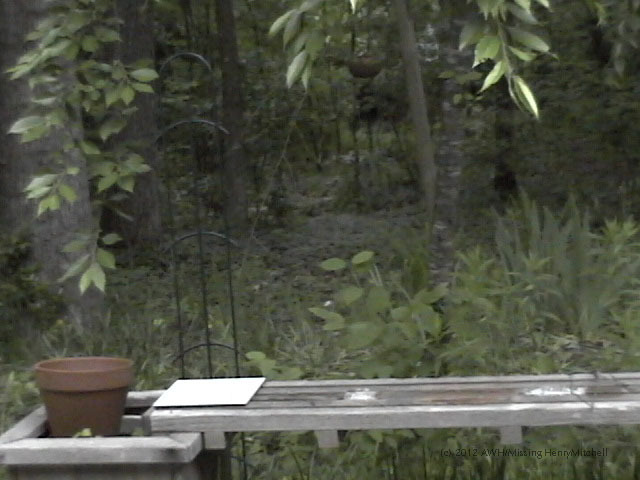 The Iris germanica on the right-hand side of the picture are anomalous; none of the others looked nearly so healthy. I never ventured off the porch without boots on. When faced with such a task, most well-done gardening books will tell the gardener to draw a plan, perhaps beginning with a bubble diagram and adding some site analysis markings to indicate damp spots or grade changes. I have read all those books, and that is good advice. But mosquitoes wait for no bubble diagram. I purchased my first real gardening tools (i.e., not hand tools useful for container gardening): a spade, a steel grading/thatching rake, and a pair of heavy-duty loppers. I already owned a pruning saw. And I got cracking.